There is a limited amount of these DVD’s. This is the untold story of six-time world champion powerlifter, and baddest Mutha Fu*ka of all time, C.T. FLETCHER. Featuring appearances from “STONE COLD” Steve Austin, Bill Goldberg and Kevin “DA HULK” Washington, Fletcher’s life shows us how to push through our obstacles to achieve dreams of greatness. SPECIAL FEATURES: “STONE COLD” Steve Austin Interviews C.T. Fletcher & Deleted/Extended Scenes. APPROX 101 Min. 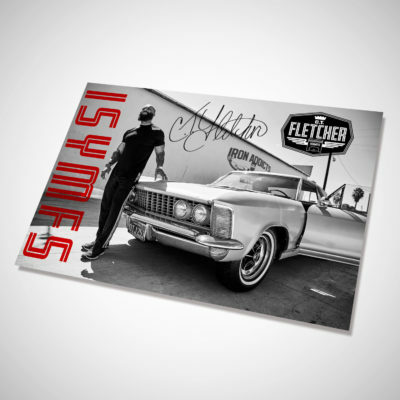 ISYMFS ’64 RIVIERA POSTER – AUTOGRAPHED BY C.T.